Matania Stern, Religious High School teacher, stopped his car at roadside, exited and was run over. Gedera mayor eulogizes. Matanya Stern, a 34-year-old resident of Tekoa in eastern Gush Etzion, was killed today after being hit by a vehicle on Menachem Begin Boulevard in the town of Gedera, located south of Rechovot. A police investigation revealed that Stern stopped his car at the side of the road for unknown reasons and exited it. A passing vehicle hit him, and MDA teams were forced to declare his death. The funeral of the father of four will be held today at 17:00 in the Moshav Ahiezer cemetery. 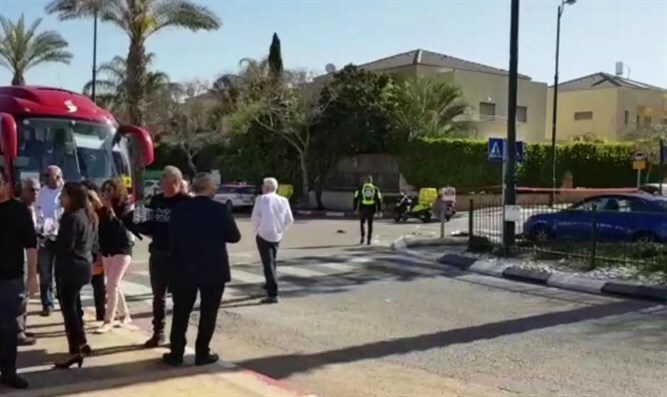 Gedera Mayor Yoel Gamliel, eulogized him, "We are stunned and devastated by the premature departure of Matanya, a teacher from the high school of Darka Ramon [named for Israeli Astronaut Ilan Ramon], who was killed this morning by a passing car. "To the Stern family: We support you in these difficult moments and convey our heartfelt condolences."